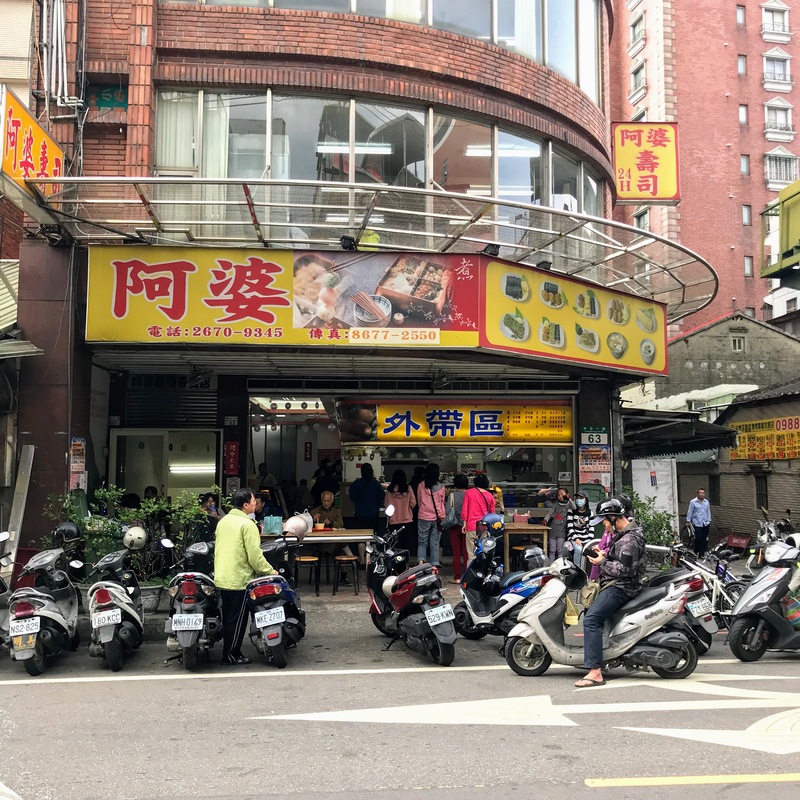 After a quick breakfast at 老圓環食品 Lao Yuanhuan, and then dropping off our bags at the hotel, we headed to 台北車站 Taipei Main Station and took a 區間車 local railway train to 鶯歌火車站 Yingge Train Station. From the train station, it was a short 5-minute stroll to 阿婆壽司 Grandma’s Sushi. 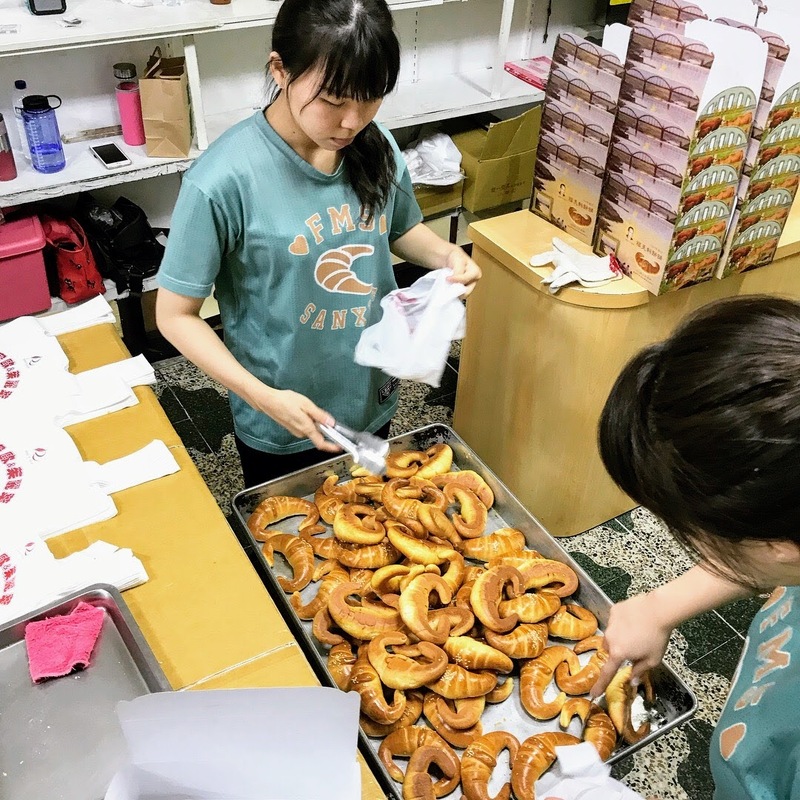 This 24-hour eatery was popular because of the very affordable prices. 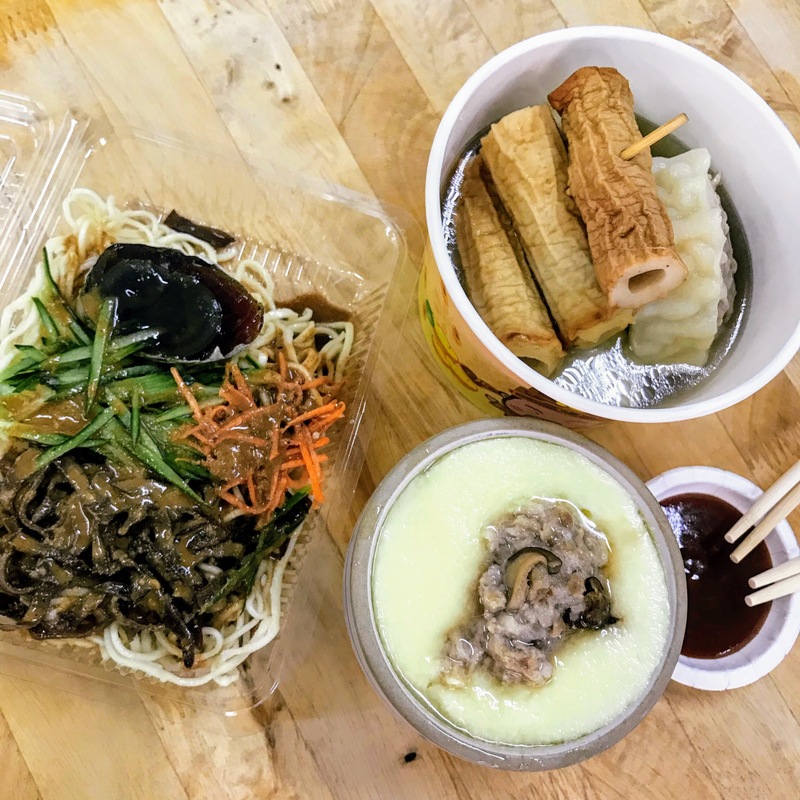 Despite the name, we decided to skip the sushi and went for 關東煮 Oden (NT15 each item), 茶碗蒸 Chawanmushi (NT20), and 麻酱皮蛋凉麺 Chilled Noodles with Century Egg and Sesame Sauce (NT45). The oden items were really huge! Among the cabbage roll, white bitter gourd, and chikuwa, my favourite was the juicy cabbage roll! The chikuwa was sadly a bit too hard for our liking. Hubby’s favourite was the Chilled Noodles; there was something just so irresistible about the sesame sauce 😛 The huge bowl of chawanmushi was pretty decent. Overall, we thought the food was filling and quite value-for-money. Next stop was 彰鶯肉圓 Zhang Ying Meat Balls a short distance down the road. Since we were quite full, we opted to share one 肉圓 Meatball (NT40). The skin of the meat ball was quite chewy, though we would have preferred it to be less thick. 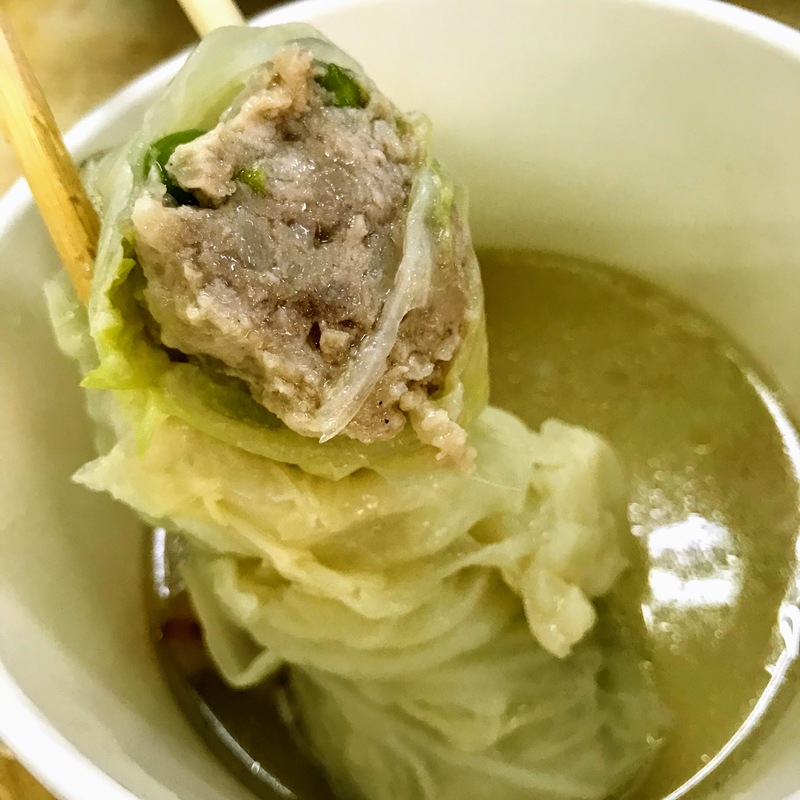 We enjoyed the fillings of bamboo shoots, mushroom and minced meat, which gave it a good bite. 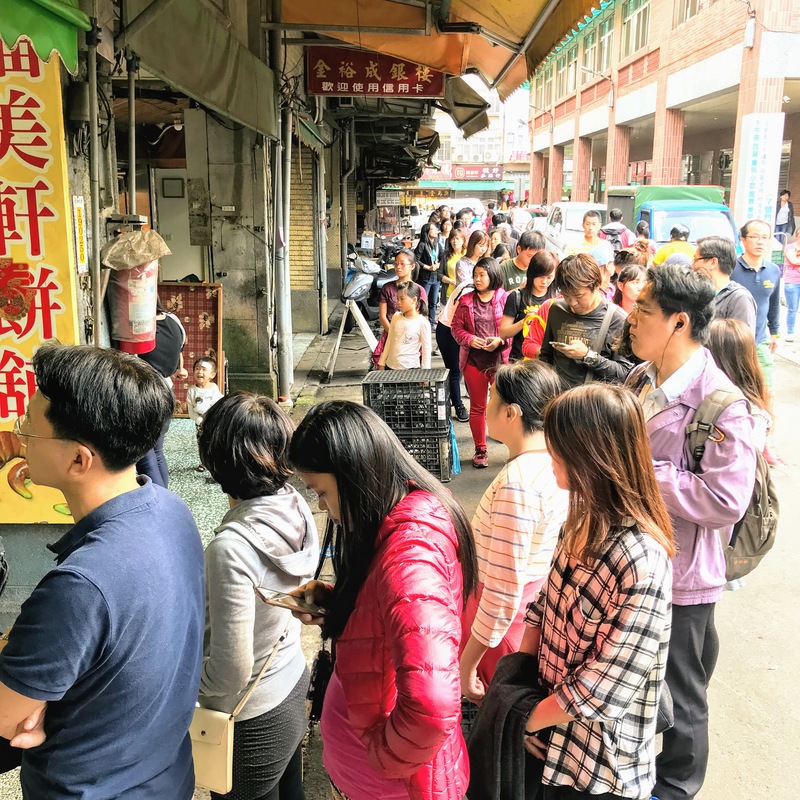 With our bellies filled, we walked to 鶯歌老街 Yingge Old Street, a place famous for ceramics. We spent about 1.5 hours here just browsing and strolling. When we were done here, we took a bus to 三峽老街 Sanxia Old Street. 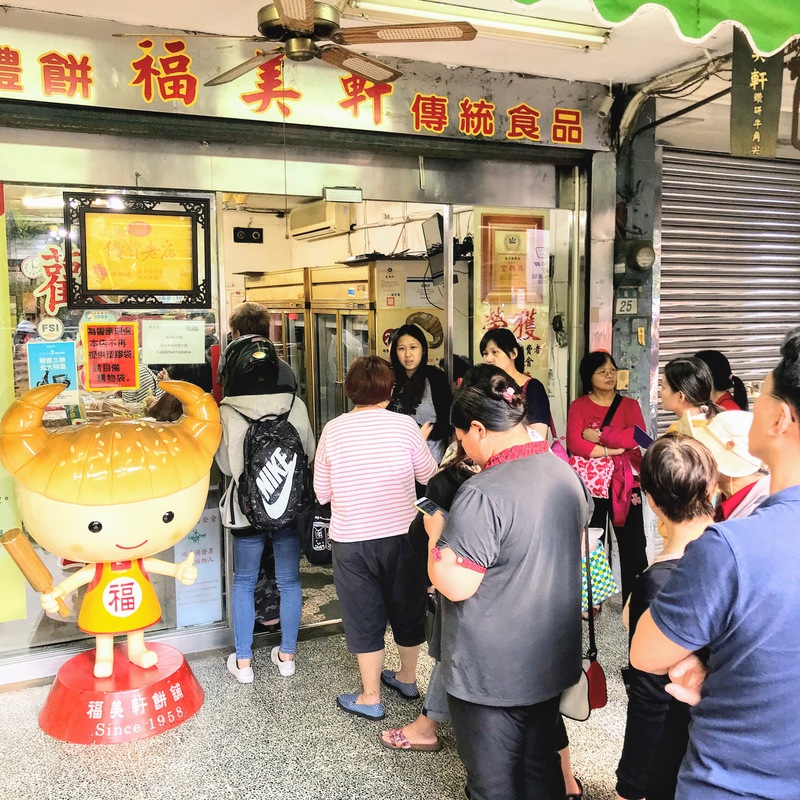 Turned out that 福美軒餅舖 Fu Mei Xuan Biscuit Shop was very famous for 金牛角 (in fact, this was the original shop! 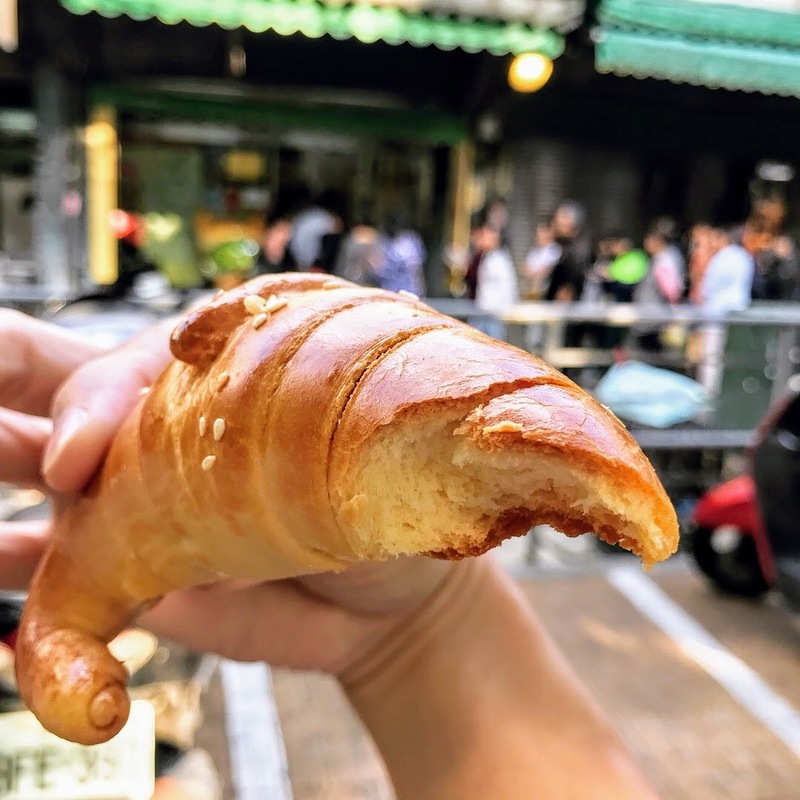 ), a bread shaped like a bull’s horn (some kind of Chinese croissant?). The bread were baked in batches, so the queue would move and stop, move and stop. We were contemplating if we should queue, and the customers in the line were telling us just how good it was, and we were sold 😛 Each batch was sold out within 10 minutes and we waited for 30 minutes before our turn. Our first bite into the warm bread was simply awesome! Just imagine your teeth sinking into the soft bread after breaking through the slightly hard and crispy crust, and the air was just filled with the aroma of the bread… it was really quite heavenly! We recommend eating it when it is freshly baked; we kept some for breakfast the next morning, and while it was still crispy outside and soft inside after warming up, the taste was still different compared to when it was fresh out of the oven. 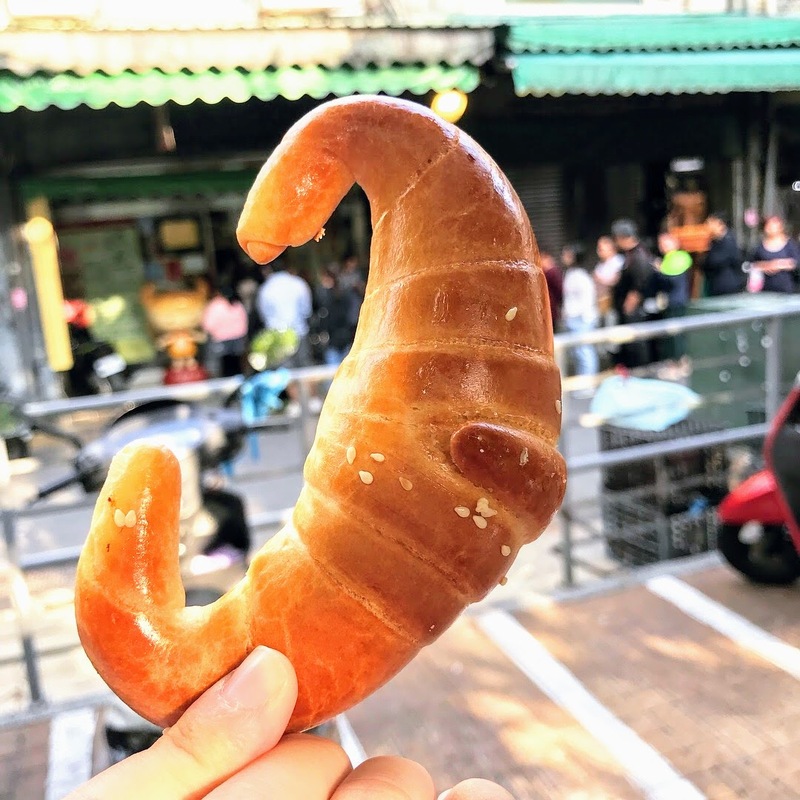 When it was about time, we took bus 910 to 板橋湳雅夜市 Banqiao Nanya Night Market to meet up with Ms J to pass her the croissants!